While many of our customers already know exactly how to achieve their vision applications, many aren't sure where to start. Pyramid Imaging has provided turnkey systems for customers who don't have backgrounds in the machine vision industry. These customers turned to us to get them what they needed By utilizing Pyramid Imaging, these customers saved time and money compared to if they attempted a solution themselves. Need help? Contact us using this form. 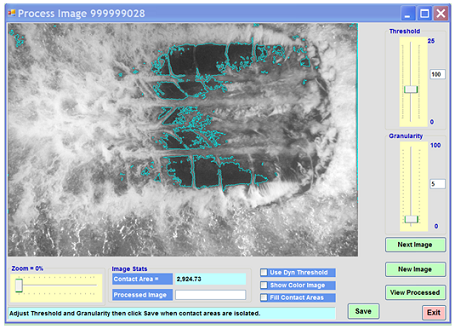 Pyramid Imaging's TreadSpection® new tire tread analysis software program will calculate the total area of contact of tire tread upon a surface based upon your supplied image. The program can import your images and allow customization of how it creates the regions of contact. You merely change values or move slider bars to immediately affect the creation of contact regions. The total area of contact will change accordingly. Settings can be saved so that future images are processed similarly. Pyramid Imaging's GlassSpection® is a hardware and software system used to do surface glass inspection and detection of particles on various surfaces. 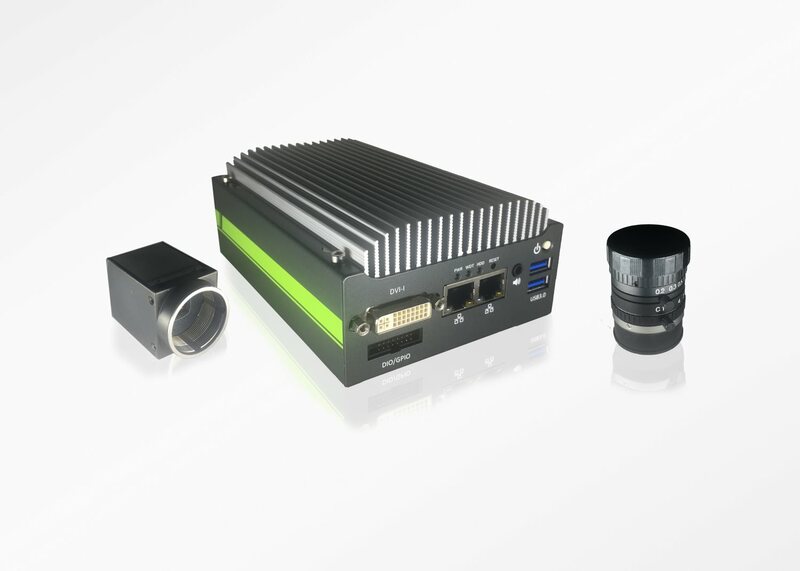 The hardware is composed of two USB video cameras and two LED arrays for illumination. The software shows the video images from the cameras and using machine vision software, hardware and accessories, finds and highlights particles of dust or other materials that are on the surface. This system is designed to enhance Flat Panel manufacturing workers' performance in cleaning the cover glass and the flat panel prior to bonding the two together. By clearly showing where particles are located for removal worker's eye fatigue is dramatically reduced. 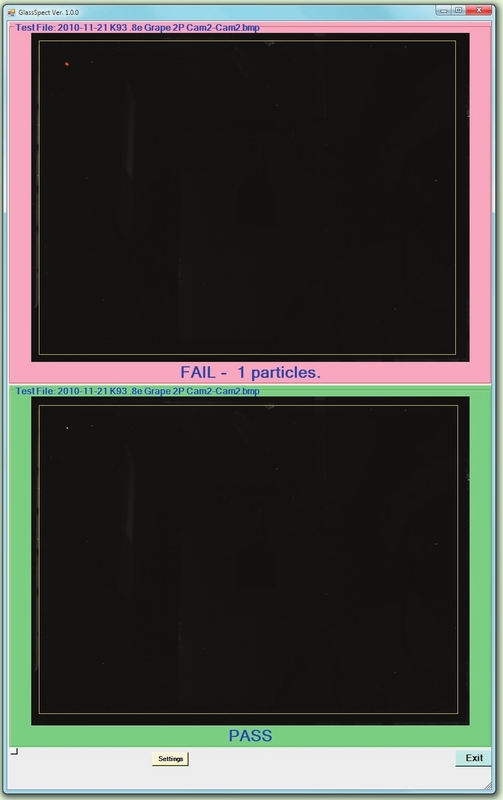 A simple Pass/Fail indicator also tells the worker when the surfaces are properly cleaned.